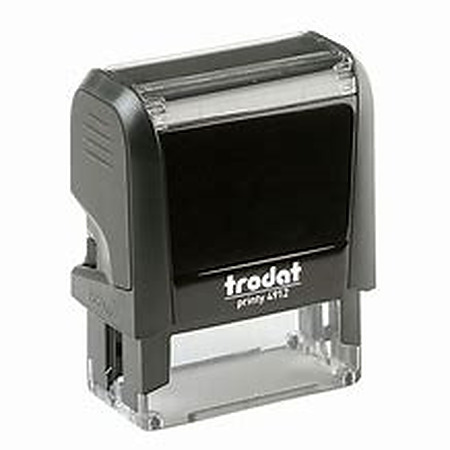 Trodat 4912 self inking stamp with 47 x 18mm die plate. Recommended maximum number of lines 4. We also have coloured mounts including black, apple green, blue, orange and pink. Add an extra replacement ink pad for your new stamp for only $5.00, a saving of $3.00. (applies to new stamp orders only).